Ticks are arachnids like spiders and scorpions, but they are much smaller. For example, the deer tick is about the same size as a pin head when not engorged. Ticks go through several life stages before they reach maturity, and each stage requires the consumption of blood from a host. Ticks classified as soft ticks can last years without a blood meal before they die, but hard ticks can only go a few months. 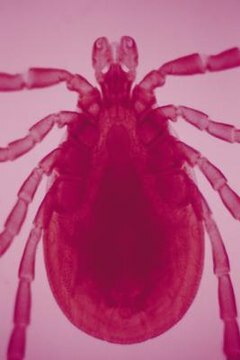 However, most ticks do not reach maturity because they cannot find a suitable host, according to the Centers for Disease Control and Prevention. Ticks identify potential hosts in different ways, including detecting their body scents or their breath, or even following their shadows. Depending on the species, ticks might require only one or several hosts during their lifetime. Some ticks will use one host and consume the hosts’ blood to move through all of their life stages. Others will use different hosts for each stage. Although ticks need blood meals to mature, most species can go as long as two to three years without feeding off a host.